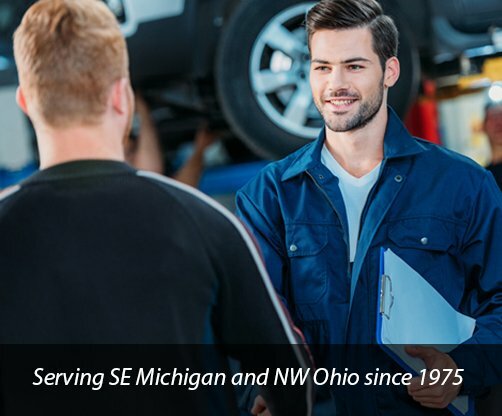 Central Collision is a state-of-the-art collision repair facility servicing NW Ohio and SE Michigan since 1975. We have found over the years that many of the same questions are asked and have compiled them in the list below. Please contact us if you have a question or would like to add to this list. We would always love to hear from you! Q: When can I bring my car in for repair? A: Our location is open Monday – Friday from 8 a.m. to 5 p.m. If you have an accident outside of our office hours, you can always call our towing service 24/7 and we will be happy to tow your car to our shop for service. We will contact you the next business day for an estimate on repairs. Q: Will I need to pay a deductible? A: Check your auto insurance policy or speak to your agent, but most deductibles should be paid to the repair center at the time of service. Q: How long will it take to repair my car once I drop it off? A: When we assess the damage, we will give you an estimated completion date based on your car’s damage and repair needs. Please keep in mind that we may need to adjust the time based on additional damage found while making repairs or if we are waiting for details from your insurance company. Our team will make sure to keep you updated on your repair process from beginning to end. Q: Can I get a rental car while my car is in your shop? A: Check your policy and/or call your insurance company to find out if you have rental coverage and what your specific limitations are. We can help you make rental car arrangements with your insurance company or on your behalf when you bring your car into Central Collision for repair. Q: What if my car is totaled? A: If your insurance company decides that your vehicle is a total loss, it would mean the cost to repair the vehicle exceeds the value of the vehicle. The insurance company will offer you a “settlement” amount less any previous damage to the vehicle. It is your responsibility to then clean out all of your personal belongings from the vehicle and authorize the body shop to release the vehicle to the insurance company and they will ask you to remit the title to the insurance company to receive payment. If there is a lien on the vehicle the insurance company will first pay off the lien and get the title and then pay you, the owner, any monies after the lien is paid. Every case is unique so please contact your insurance company with clarifications on the sequence of events on your vehicle. Q: Will I have a warranty on the work you complete? A: Yes, Central Collision offers a Limited Lifetime Warranty, as long as you own the car.